Contact us to arrange a bespoke course to suit your needs and location. EARLE ABRAHAMSON is a senior lecturer in Sports Therapy at the University of East London. He is the national chair of the Massage Training Institute, Vice-Chair of the General Council for Massage Therapies, and sits on the professional board for soft tissue therapy at the Complementary and Natural Health Care Council. He is a senior practitioner in soft tissue therapy and principal fellow of the Higher Education Academy. Earle has won numerous awards for teaching and learning. 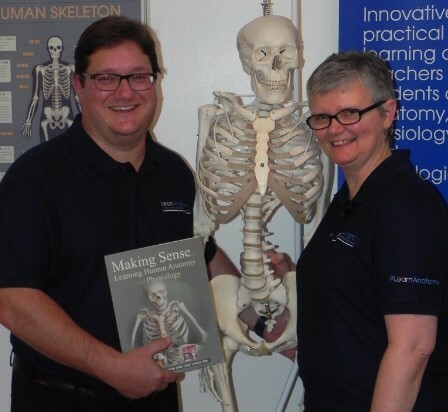 JANE LANGSTON is a Fellow of the Institute of Biomedical Science, and originally worked in pathology departments in the National Health Service in England for over 20 years, which instilled in her a love of anatomy and physiology. She has been an Amatsu practitioner since 2000, and is now managing director of the multi award winning company, The Amatsu Training School. 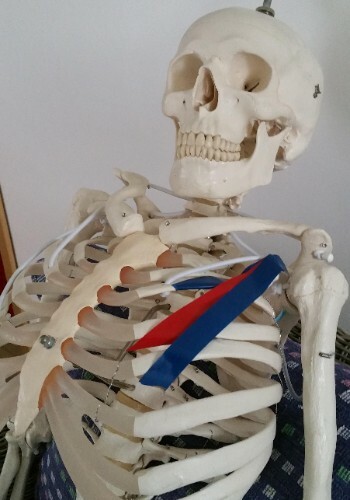 BORIS BONES is LearnAnatomy's skeleton in the cupboard who likes to muscle in on our classes. He is the backbone of our teaching team, and together with our other anatomical models, will put his heart and soul into teaching you about anatomy and physiology.